Take every day travels to a new high with exceptional style and performance in the all-new Chrysler 200. With masterful engineering, Chrysler has created a sedan that will set you apart from the average crowd with exquisite style and dynamically efficient power. 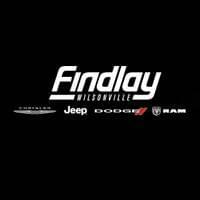 At Findlay Chrysler, we have a great selection, ensuring you will accomplish all of your car shopping goals before driving away in your new 200. The exterior design of your new Chrysler 200 sedan blends sporty coupe-like proportions with the highly refined fit and finish of a luxury sedan. A dynamic stance, wind-swept profile, finely sculpted curves and aggressive wheel-to-body proportions result in a sophisticated presence, no matter where you travel. The distinctive front end features a slim horizontal-oriented grille that flows seamlessly into the headlamps, and a dramatic, large lower grille intake. 8 different wheel designs in 17”, 18” and 19” sizes give you options for choosing your style. Advanced LED lighting tech gives you the best light on all situations with contemporary LED taillamps, available LED fog lamps and available LED daytime running lamps. Your new Chrysler 200 gives you options in power and efficiency, giving you power to customize your drive. The standard 2.4L Tigershark MultiAir II 4-cylinder engine delivers 184 horsepower and 173 lb-ft of torque while also giving you 36 mpg hwy. For even more power, choose the award-winning 3.6L Pentastar V6 offering an available Best-in-Class 295 horsepower and 262 lb-ft of torque, that provides an efficient 32mpg hwy. The Chrysler 200 is the only car in its class to offer a nine-speed automatic transmission granting smooth transfer between gears and efficiency at all speeds. For more travel options and opportunities, the 200 has most technologically advanced available All-Wheel-Drive system in its class. The 200 offers a fully preemptive system requiring no driver input, seamlessly engaging the AWD system at any speed, giving you excellent traction, efficiency and dynamic performance under a wide variety of driving conditions. Finding your perfect Chrysler 200 match is easy for our knowledgeable team of product specialists, especially with our ample selection of new and pre-owned vehicles to choose from. You are an important part of our growing success and we look forward to helping you become a part of our Findlay Wilsonville family for life, with our amazing service, accommodating finance, and factory-trained technicians. Browse our website to peruse our available incentives, specials and available selections. Our Chrysler specialists are available to you through LIVE CHAT, email and phone at (503) 994-0564 to begin working for you before you even step foot through the doors. Come in to our conveniently located showroom in Wilsonville, OR so we can share our first class customer service experience in person. We can’t wait to professionally fit you into your new Chrysler 200, so visit us today.